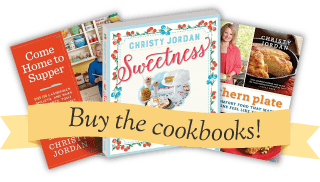 Christy Jordan is a food blogger, bestselling cookbook author, tv personality, former editor at large for Southern Living Magazine, former contributing editor to Taste of the South magazine, and someone who loves to feed people. She holds a B.S. in Home Economics with a concentration in Foods and Nutrition. A ninth generation Alabamian, Christy lives just minutes from where she was born with her husband of 20 years, their two children, various cats, dogs, and a small flock of chickens. Her website, SouthernPlate, has been twice named one of the top 25 food websites in the country, and draws millions of visitors each month. The Southern Plate family is made up of a wide variance of folks who value family, friends, faith, and strengthening connections over a home cooked meal. The Southern Plate family continues to grow by leaps and bounds so I thought I’d take a moment to offer you a warm welcome and catch you up a bit. We’re so glad you’re here! In case you want to know a little more about where “here” is, read on …. For starters, my name is Christy Jordan and I want you to know right up front that I’m nobody special, but I come from some awfully good people, a long line of Southern cooks who were some of the poorest folks around but rich in every way that mattered. I was raised to appreciate the real wealth in life : Family, Friends, Faith, and Good Food. My Mother and Grandmothers used their talent in the kitchen to bring us all together at each meal. Most of the stories I know of my ancestors were passed down to me around that dinner table. Through our mealtime conversations we learned who we were, where we came from, and what was expected of us as we went out into the world. Where do my recipes come from? I’m often asked where my recipes come from. Well, the vast majority are from my mother and grandmothers, the food I was raised on. It’s in my heart to preserve these recipes and our Southern food heritage whenever I am able and Southern Plate has given me a great way to do just that. Every now and then I develop a recipe on my own. I am especially fond of meal-in-one recipes but you’ll quickly find that I have a real love for desserts as well. Either way, I tend to keep most of my cooking in line with the Southern style and seldom venture away from it. The great thing about classic southern food is that it is, in it’s purest form, simple and inexpensive – because Southerners in the old days were poor and tired! You can read more about my background in my first book, Southern Plate, Classic Comfort Food That Makes Everyone Feel Like Family. Be sure you read the little stories sprinkled throughout the book because that’s where you’ll really find my heart. While I love the old ways of doing things I’m not one to shy away from using a mix or a shortcut, either. Sure Grandmother didn’t do it that way, but you also have to consider that cake mixes and such weren’t available in my grandmother’s time. She worked all day long in the cotton fields and then came in bone tired to cook a meal for her family. Boy howdee, if she could have made it with a shortcut I know that my wise great granny would have. I want to make one thing as clear as possible : How your Mama made it is the right way. No one will ever cook for you like your Mama did and I’m surely not here to try. But when I bring you a recipe I’m going to bring it to you how My Mama made it, which is the only right way for me. Your Mama will always be a better cook than you, me, Martha or Julia. There was never any competition. One of my greatest joys from Southern Plate is getting to hear from you in the comments section on the site. Hearing back from you is what makes this a conversation so I do hope you’ll take time to leave me a quick hello, let me know when you try a dish, or just introduce yourself. I read every single comment left and you’d be surprised at how well I get to know you through them! I also try to answer as many as I possibly can. If I am ever fortunate enough to run into one of you while I’m out and about you should expect a hug because If you read Southern Plate, we’re family. The fact that we’ve never met is just a technicality. People often say that my dreams are coming true with all that is happening in regards to Southern Plate, but that is only partially true. You see, my dreams have already come true in 1998 when I got married and started my family. I’m a wife, mother, and lifelong resident of North Alabama with a B.S. in Home Economics. Anything else is just icing on an already delicious cake. As for the dream I am living now, I consider myself blessed to be working for the greatest “boss” of all time and give thanks each day for the wonderful family He has given me in all of you. So pull up a chair, grab a glass of sweet tea and join the family as we all gather around and see that life is good, home cooking is best, and there is always something to be grateful for. Welcome to the family, you’re a grand addition. 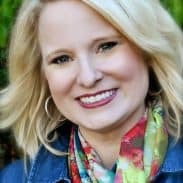 My name is Katherine and sorry for the out-of-the-blue email but I work in SEO, ORM, and Link Building and I was wondering if you take any paid content on southernplate.com. I would be interested in working with you on different projects at your approval and all within your content niche. Let me know if you might be interested in working together, thanks! I would like to launch today to you thetykeshop.com is a fabulous children shoes online shop. Please, look up today and get 10% off Code: Love 2016 valid until 2016-02-29. If allowed, I have a question. I just tried a recipe off the internet which has your name: “southernplate.com” on it. “Pickled Onions” which I found simple and delicious however once completed and in mason Jars there is no mention of “shelf life”? If there is one, please advise. Most peanut butter these days are fully hydrogenated, which is a process that incorporates the oil to such an extent that it is not longer able to separate from the peanut butter itself. If you get some natural peanut butter that has the oil floating on top in the jar, this should help some. Did you make this yourself back in the day? I’m wondering if someone made it for you and perhaps they added some powdered milk as well to help it form balls. We make peanut butter balls with powdered milk, honey, and pb and my family just goes wild for them. Love the Southern Plate site and Christy’s choices! I wish her lasting success as I am now a loyal fan. Hi Christy, a few years ago my 2 grandchildren and my Mom and I had the wonderful opportunity to be in a cooking class you had in Huntsville. 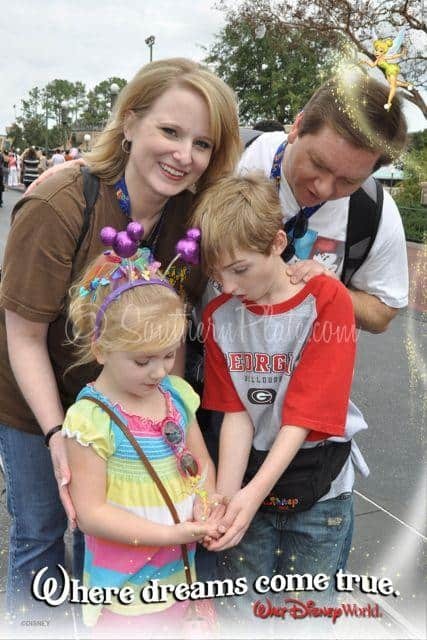 You were very kind to our grands as they had just experienced their Mom going thru breast cancer. Thankful she is in remission. I wanted to see when your classes are during 2019. We are very intrested. I remember y’all! I’m so glad to hear she is in remission! Answered prayers all around! I’ll keep you posted on classes. What type would you like to see? What? No Gluten Free foods? We don’t have anyone with Celiac disease in our family (thank goodness) so we don’t eat gluten free purposefully as part of our diet but a lot of Southern classics do happen to be gluten free. If you do eat gluten free exclusively, I’m sure you’re adept at modifying recipes as well. I look forward to seeing more of your comments as you take initiative and dig through the archives! Hey Denise! I’m so grateful for our EBT system that helps out so many. My great grandmother relied on it a great part of her life, despite how hard she worked, she just couldn’t make enough on her own to make ends meet. All of my recipes are free here on the site and I don’t offer anything beyond recipes so I don’t see how I would make use of EBT but I do hope folks of all walks find the recipes helpful to their meal planning. Yay! I thought I missed it or something. I’m glad I didn’t. I’m so curious to hear all about it. Keep up the good work. Thank you so much for taking the time to respond. Feel better soon.